Mojito Bay is a striking structure in the downtown Put-in-Bay area. This beautiful tiki hut features swings instead of bar stools. Moreover, construction occurred with authentic techniques by skilled craftsmen. Swing up for a freshly muddled mojito. There is an extensive list of options. Also, there is great live entertainment on the main stage throughout the season. 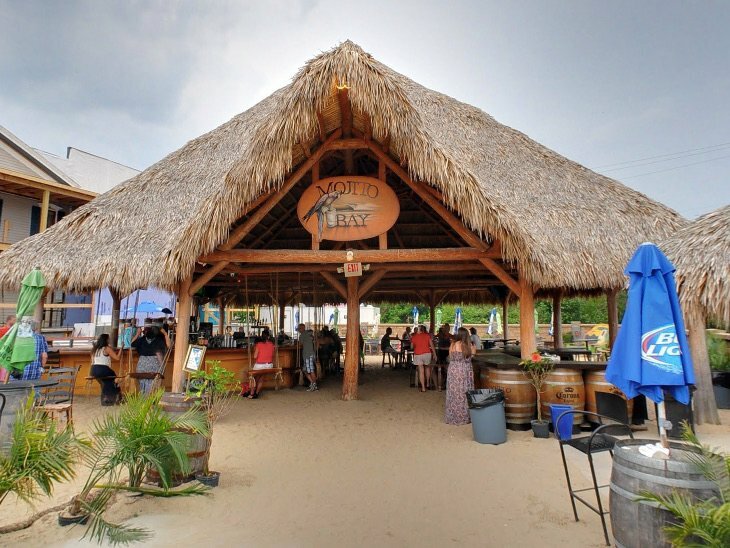 This bar has a perfect island setting on Catawba Avenue. The corridor is a natural extension to the main Delaware Avenue strip. Mojito Bay is right at this intersection. So, this is a great bar to begin the night. The majority of the best Put-in-Bay Attractions and Shopping are nearby. Moreover, they are within short walking distance.